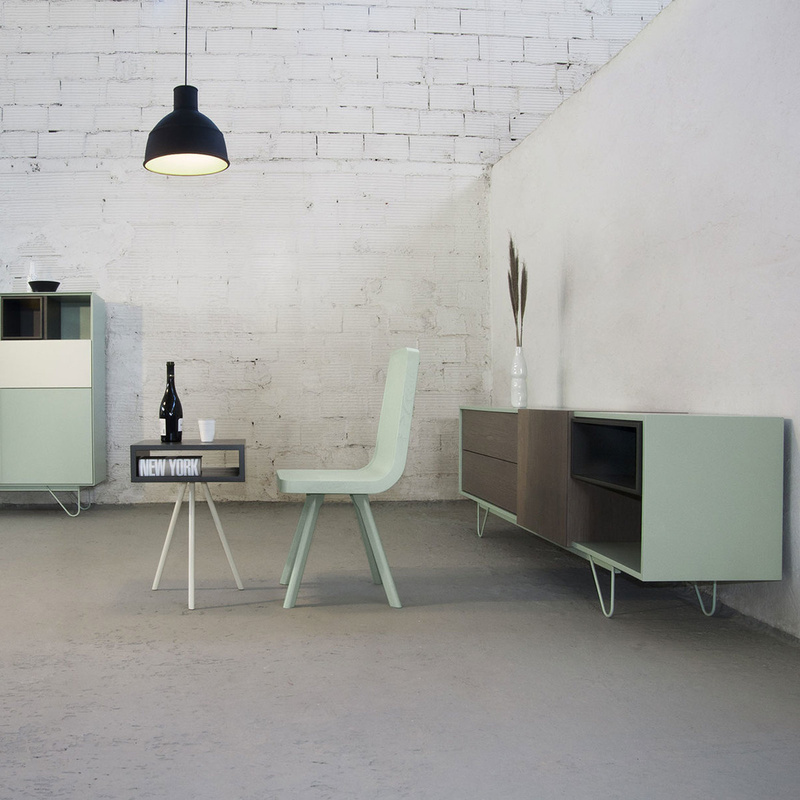 A lightweight, appealing design for an extremely functional sideboard. 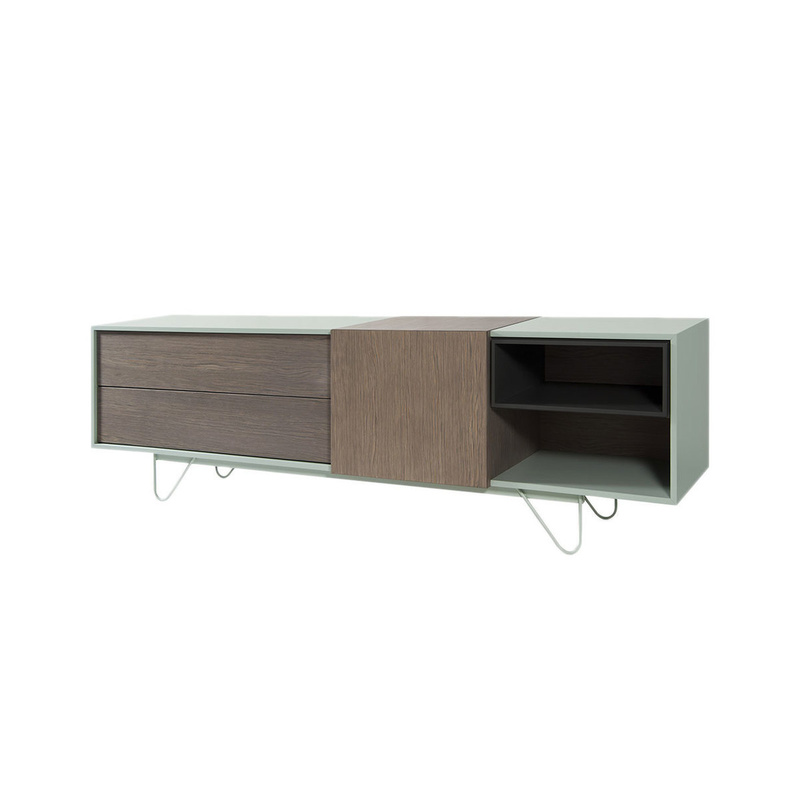 Drawers, compartments, nooks and accessories live together in one linear element. The metal base gives an aerial, sophisticated feel and a unique personality to this item.